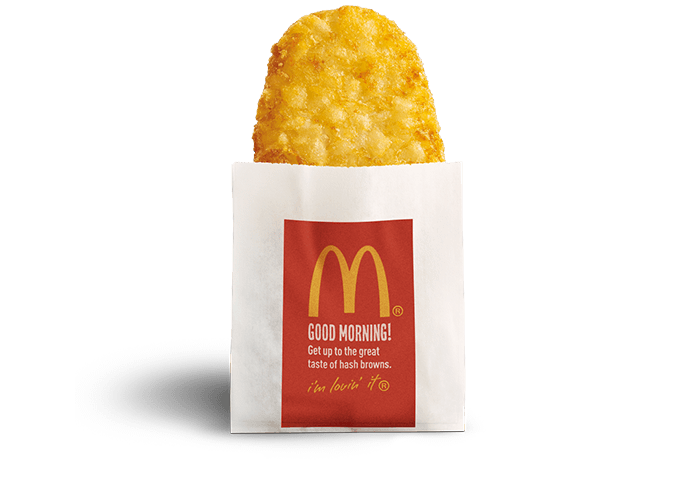 At selected stores, McDonald’s are offering a Hash Brown for just $1! According to altomic on Ozbargain, the offer appears to be available at QLD stores, and possibly is available nationwide. If you’ve seen this deal at your store, let us know in the comments! Get ’em hot. A crunchy, golden brown crust with steaming, fluffy potato inside. Scroll down for nutritional information as well as ingredients information. Click here for more McDonald’s deals on Frugal Feeds. Potato, Canola Oil, Salt, Dextrose (Maize), Emulsifier (471), Preservatives (450, 222), Antioxidant (320), Pepper Extracts. Potatoes, Canola Oil, Seasoning (Black Pepper, Salt, Modified Corn Starch). Potatoes, Soybean Oil, Salt, Potato Flake (Potatoes, Stabilisers (471, 450), Acidity Regulator(330)), Extracts of Black Pepper, Dextrose. Contains soy, traces of sulphite.